Discover all of the current luxury homes for sale in Cary below! Because of Cary's collection of master-planned communities and big city conveniences, this area has always been a top choice for those who are looking for a beautiful community, with the perfect balance of development and amenities. When it comes to luxury, Cary is certainly not in short supply. 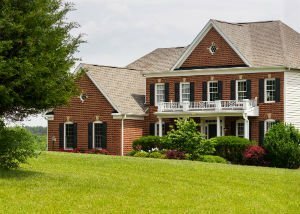 While the area has greatly expanded in recent years, so too has the abundance of well-appointed homes. Whether you're after quality home in a refined community or somewhere a little more private to call your own, this charming bedroom community has it all. Search all of the current real estate listings below, or keep reading to learn more about Cary luxury homes and the many quality amenities they contain. 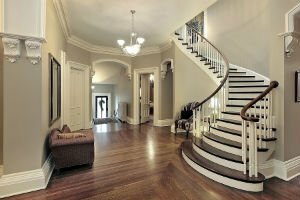 Listing Office: AAPKA Raleigh Realty, Inc.
Cary's luxury home market is flourishing, and the houses themselves are nothing short of stunning. Whether you prefer a simply upgraded estate or a lavish mansion with the finest custom elements, you'll find a little bit of everything in Cary. While every single one of these houses is completely unique, some of the most common elements that you could enjoy include sprawling Chef's kitchens, dual staircases, marble flooring, hardwood studies, fitness rooms, complementary light fixtures, contemporary multimedia connections throughout, and endless custom inclusions. The luxury home market in Cary is growing, so there's always something new to see. If you're thinking about building your own one-of-a-kind abode, then you're looking in the right place. It's hard to compete with the peace and privacy you'll find in a Cary property. While Cary is filled with a number of luxury home communities, here are a few of the most notables ones. If you'd like to learn more about luxury homes for sale in Cary, let the My NC Homes team find the right home for you. Send them a message online or give them a call at 919.659.5173.